Combine salt, garlic, onion, paprika, cayenne pepper, oregano, thyme and black pepper. 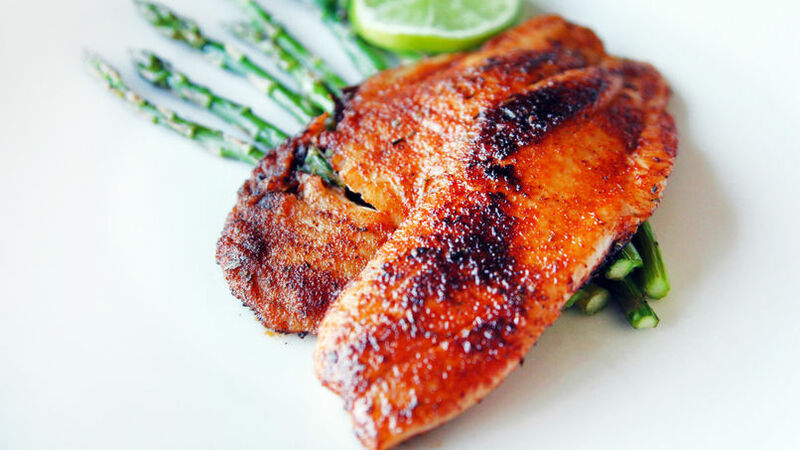 Place tilapia fillets on a baking dish and cover both sides with the spice mixture. You may have some leftover spice mix. Heat up 1/2 tablespoon butter on a nonstick frying pan and add a fillet at a time cooking 4 minutes on each side. Repeat the process until you’ve cooked all four fillets, adding 1/2 tablespoon butter each time. Sprinkle with fresh lime juice and serve. You can also use a store-bought Cajun spice mix. Contrary to what many believe, cooking with fish is very easy: the secret is seasoning it well and to not over cook it. Today’s recipe is very simple; you only need to get the spices ready, rub them on the fish and fry. You’ll have a delicious dish in no time. Serve with a side of rice and vegetables.